When you are focused on your activity, the results actually do come. So *this* happened without me even realizing it. 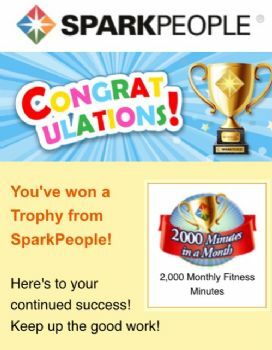 It was a goal of mine for this month—to see if I could reach 2000 fitness minutes. Aaawwww wayyyyyy cool. Congratulations!!!!! Yeh!! !